Gulf Coast Orthopedics is pleased to announce that effective January 1, 2019 we have added an additional orthopedic provider to our Galliano and Raceland clinics. Nicole Bourgeios, PA-C is now available for patient appointments. 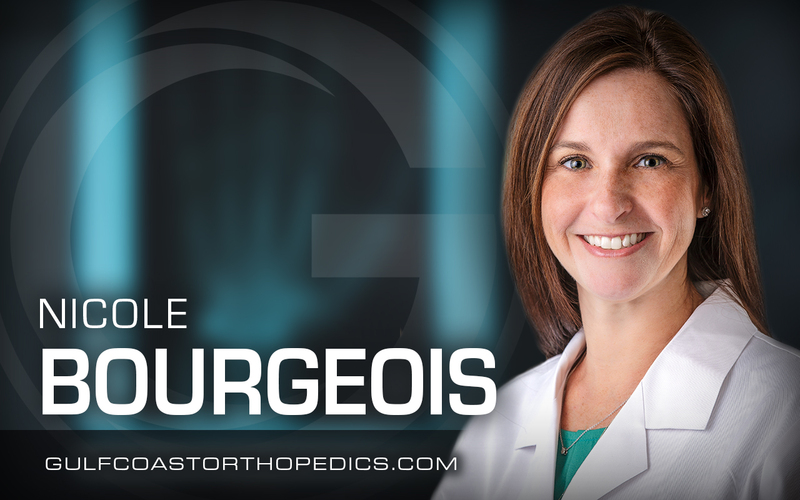 Nicole comes to our practice with over 10 years of experience in orthopedics. She is available for general orthopedic evaluations, sports physicals, bone health/osteoporosis evaluations. Nicole has been a lifelong resident of Lafourche Parish. She received her undergraduate degree from LSU Baton Rouge and her PA degree from LSU-Shreveport. She lives in Lockport with her husband, Darby, and their sons. Nicole’s love for orthopedics and caring for her patients is a perfect match. One of the things she enjoys most is seeing her patients at their follow-up appointments and finding them well-pleased with their care and progress. She is motivated by her patients return to wellness. Please call us at 985-868-1540 to schedule your appointment with Nicole.